Pocket Prep is your award-winning tool in mobile learning and exam preparation. Pocket Prep allows you to study anywhere, anytime, right from your mobile device. We strive to make studying more efficient by redefining how you prepare for the Adult Critical Care Registered Nurse (CCRN®) exam. Overloading your brain with too much information at once is a common study mistake. Research has shown that smaller, more frequent study sessions are the key to knowledge retention. In other words, taking short quizzes on the go is a much more effective means of exam preparation than reading page after page in a textbook. Apps offer the benefit of interaction, which means you’re far more likely to remember a concept you engage with rather than one you’ve only read about. Take your CCRN® studies with you, no matter where life takes you. We provide a limited free version so you can get a feel for the app before deciding to upgrade. The free version offers dozens of practice questions with detailed answer explanations and limited access to the Question of the Day. Our team of writers and editors are industry leaders who have meticulously crafted practice questions and detailed answer explanations with you in mind. Since 2011, Pocket Prep has helped over six million students and professionals achieve more. Need help? Contact us through the app’s support section at any time for a response within a few hours. *Terms and conditions apply for our Pass Guarantee. See our help center for details. Great App! Helped me pass the first time!! Between this CCRN review app, the AACN’s online review course, Laura Gasparis-Vonfrolio’s DVD’s, and Baron’s CCRN Review book I managed to pass the exam the first time! I love that there are rationales and references to go along with each question! I also like that you can set reminders to do the question of the day and when to study. For those of you who don’t think you have time to do this then you’re wrong!! I’m more than halfway through the FNP program while working full time and still managed to study and take the exam during the winter break, so it’s most definitely doable! Remember... the more knowledgeable one is, the safer are their patients! Good luck everyone!! I never write bad reviews but this app seriously disappointed me. I opted to pay for the premium version, which said it included 600 questions. Yet I was constantly getting repeat questions, so nowhere close to 600 original questions. The app constantly glitches, and when I had completed 500+ questions, it suddenly erased all my progress. I couldn’t retrieve the questions I’d flagged either. I contacted the support, who more or less just told me to log out and back in, which I’d already done a few times. I told them it didn’t work and they said they’d “look into it” and then never responded. When I messaged asking for a refund, they never answered either. Ended up just getting a review book, this was a huge waste of money. I’ve been an RN in a critical care unit for two years now. I studied for my CCRN exam using this mainly - I did look at Kaplan and barrons as well...some. I can tell you this app is legit, and it gets its content from AACN approved texts. It has good rationale as to the right answers on the questions. I passed my exam with 101 correct (87 needed to pass). My only snit about this is I feel that there should be far more questions in the banks and the questions in the app could be closer to what the exam actually was. Don’t get me wrong, it wasn’t way off or anything, but the test’s verbiage was at times a lot more vague in the questions vs the answer (which I guess might be the whole point). Nonetheless this app helped me a lot. 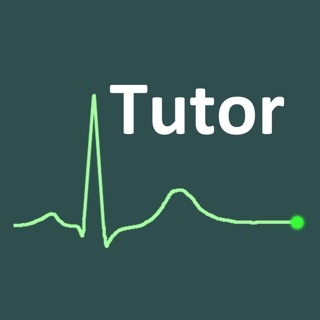 One thing that even in RN school I struggled with was heart Tones and what valvular dysfunction they represent. This app helped me really solidify my understanding of that. Even with those tiny things I think could improve, it’s worth every penny. Requires iOS 11.2 or later. Compatible with iPhone, iPad, and iPod touch. © Pocket Prep, Inc. All rights reserved. This product is not affiliated with nor endorsed by the AACN.